You know, I'm not a big fan of change. But sometimes it becomes terribly obvious that something's gotta give. No doubt most of you have noticed that I'm not keeping up with your blogs and social media as assiduously as I used to. It's not for lack of interest on my part, nor is it because I think less of any of you. Quite the contrary. I've met so many wonderful ladies - and even a few men - through your wonderful posts and feedback on my own work. 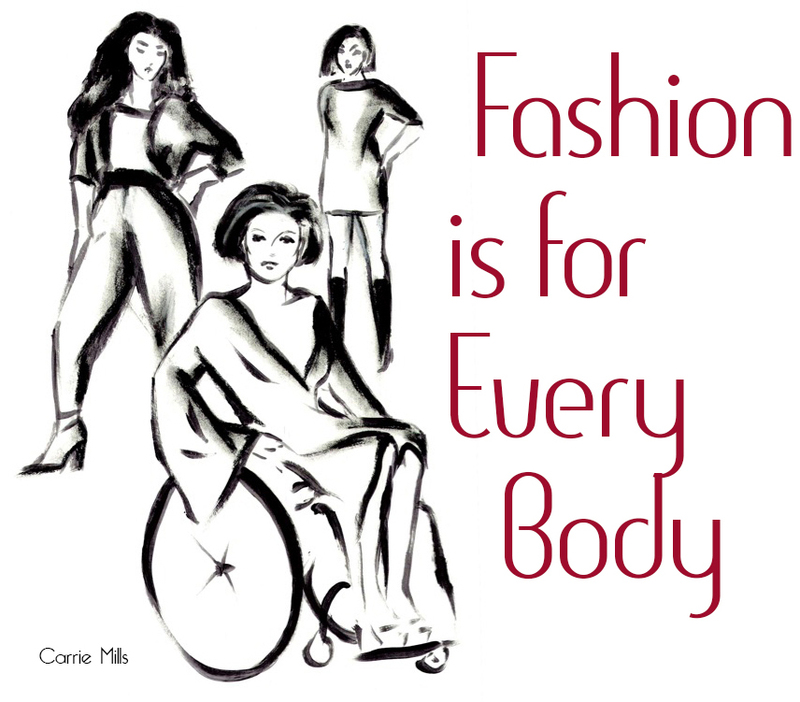 Most of you are fashion bloggers over 40, but a fair number are physically disabled, or curvy, or just really supportive of what I write. You've all expanded my horizons and given me a much broader perspective on life. I'm still excited when I see you pop up in my feed, and I'm trying to get all of you in my Google+ circles so I don't miss anything. My problem is strictly a physical one. I don't really talk about my Cerebral Palsy in great detail - and perhaps, occasionally, I should - but it's becoming more challenging for me to type for long periods of time without enough hand and arm pain to keep me up at night. As a result, despite my obstinate attempts to just "push through the pain", I find myself having to curtail some of my typing. My better half and I are working on some tweaks to try to offset this. Time will tell whether they succeed or not. For the last 21 months I've written one outfit and one content post a week. Starting this Sunday I will combine these into one post. Hopefully doing so will give me more time during the week to write in smaller chunks and interact more with you on your blogs and on social media. It will also give those of you who normally only see my outfit post an opportunity to read a little content about fashion, or Nashville, or disability, and vice versa. If you think I've been a little flaky or disinterested lately I hope you understand I was just being stubborn and resistant to change (I'm really good at that!). Please bear with me while I see if I can make a few changes to get back into the swing of things.